Last week, Ontario’s Liberal government released its proposed budget for the next three years. One of the promises that generated the most buzz is a $11 billion Toronto-Waterloo high speed rail line. What would such a project mean for Waterloo property values? Only good things, according to local realtors. Marshall’s sentiment is backed up by a recent report from the Real Estate Investment Network, which predicted that buyers priced out of the GTA would be a boon to the Waterloo housing market in 2018. According to Marshall, the rail line would be a huge incentive for buyers looking to commute from Waterloo into the GTA, who might otherwise be deterred by a long car ride. “It would be what, and hour or two sitting in a train where you could do some work? That’s nothing for people,” he says. Cambridge-based realtor Sheldon Barclay agrees, and adds that, if the rail line where to become a reality, developers would likely respond by building a greater variety of housing in the area. Dawn Parker, a planning professor at the University of Waterloo, says that the transit project would almost certainly put pressure on Waterloo housing prices. “Improved connectivity between Kitchener-Waterloo and Toronto would result in better commuter flows and would likely increase the number of people living in Kitchener-Waterloo and working in the GTA, which could increase pressure on local residential markets,” she writes, in an email to BuzzBuzzNews. Another possible side effect? 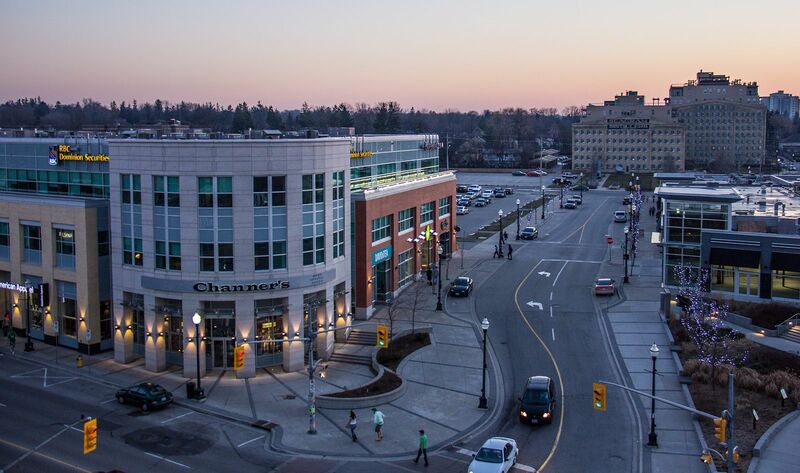 A stronger commercial real estate market, as Waterloo became more of an economic hub. “Better connectivity would increase Waterloo’s competitiveness as an employment location, which would increase the value of commercial properties around the central transit hub,” she writes.